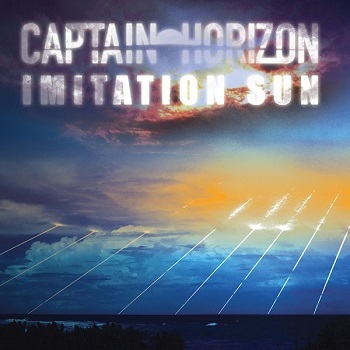 Trying to describe to someone what Captain Horizon are all about is akin to trying to explain to an overseas visitor the twists and turns of British politics and its electoral system. Almost impossible, but never a dull moment. This second album from the second city quartet further emphasises the band’s reluctance to follow any sort of road map to success, but instead they choose to take the twisting and turning of the musical B roads. This is not your straight up rock and roll sing-a-long record, or a bouncy punk tinged protest release. This is a record for both ardent music connoisseurs and casual music lovers who are looking for something a little bit different. Not to say that there aren’t any songs on here that rock, on the contrary every single track rocks, but to a different tempo. The album feels very dark and morose on first listen, Can’t you see what I’ve Become opens up the album and feels like the writer is full of despair at the world around him, but can also be taken to mean that despite the world around us we can rise above it all and lead a fulfilling life. And this paradox flies through the whole album, each song can be interpreted differently depending on your mood, My Town speaks of the decimation of our industrial heartland during the Thatcher years, but also puffs its chest out in pride, whilst Silence of Vera reflects on the horrors of genocide with the hope that we will never forget. Whatever you read into any of the songs on this superbly crafted album, you can’t take away the fact that it is an incredibly powerful and emotional set of songs, performed by four musicians who are almost symbiotic in their need to feed of each other’s craftsmanship. At the forefront is Steve ‘Whitty’ Whittington’s raw vocal style, with a surprisingly wide range he manages to sound angry and sympathetic in equal measure, and this is softened by the numerous vocal harmonies peppered throughout the album. Josh Watson surely must be one of the finest guitarists lurking in the underground scene at the moment, we see great rock and metal axe grinders week in week out, but Watson adds gravitas and is the prime song writer responsible for much of the lyrical content. His guitar skills though are what mesmerises you on this record, and, along with the equally top class drumming from James Merrix and the hypnotic bass from Alex Thompson, the album flows smoothly from track to track with a very proggy feel at times, but not overly so and there’s definitely nothing pretentious about the skills on show here. So, like a back road mystery tour, this album contains surprises and gems that will make you glad that you took that detour and headed off the beaten track to discover unknown pleasures. Check it out on the album launch night at Birmingham’s O2 Academy on the 22 May.